Wonderful wine made using oak barrel aging. 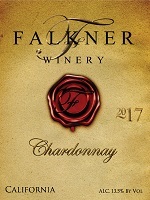 This wine was sourced from California's Central Coast and finsihed at our winery. It contains great apple and spice flavors and the finish is long and tasty. This wine pairs will with most seafood and chicken dishes.